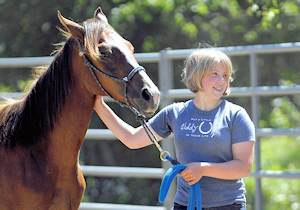 This week’s FEATURE segment with Erica Fitzgerald in Oregon and her organization which brings teens and mustangs together in a wonderful learning program. Plus, we speak with Sarah Watson, who is one of the teens who is training her second mustang. And our Geek Pick, Tack and Habit Segment and Pony Club for Adults. Don’t miss a minute of another fun-filled show! 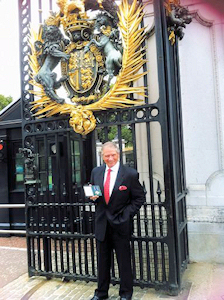 Link: New Show on HRN at www.equestrianlegends.com. Link: Listen to all the HRN shows on the Hallway Feeds iPhone App. Guest: Madeleine Pickens – visit her website at www.madeleinepickens.com. July 13, 2011. Lexington, Kentucky, USA: The Horse Radio Network’s (HRN) Jamie Jennings and Helena Bee join together as part of the Women of HOPE series to bring you an incredible interview with Madeleine Pickens. 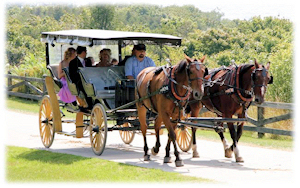 This interview will air in a two part series on Thursday, July 14, 2011 and Friday July 15, 2011 on the live HORSES IN THE MORNING show at www.horsesinthemorning.com or on a smart phone at www.horsesinthemorning.mobi. Plus, it will be played in its entirety on Friday on the recorded Stable Scoop Radio Show at www.stablescoop.com. Heartfelt. Overcoming. Passionate. Inspiring. Four words that sum up Madeleine Pickens and her efforts to change the way Americans treat one of our most beloved national symbols; the mustang. 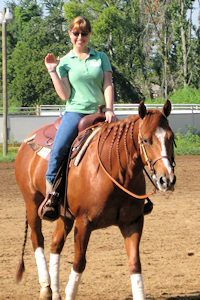 Madeleine Pickens is no stranger to challenges, and she is a role model for horse girls and women everywhere. She is the epitome of the successful businesswoman, a wife, mother and grandmother, a Thoroughbred racehorse owner, an animal welfare activist, philanthropist, and author. But above all, she is an American woman who is heartfelt, overcoming obstacles, passionate, and inspiring. For example, Madeleine and her husband, Boone Pickens, led the fight to close the last horse slaughterhouse in the United States. Their work resulted in the passage of the American Horse Slaughter Prevention Act by the United States House of Representatives. During the disaster caused by Hurricane Katrina in August 2005, the Pickens donated $7 million to the Red Cross to aid the people of the city of New Orleans. 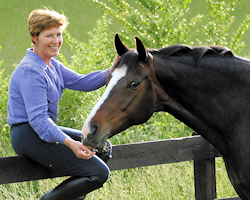 After the Bureau of Land Management announced in 2008 that the United States government was considering euthanasia and/or selling more than 30,000 wild mustangs to slaughterhouses overseas, Madeleine Pickens announced plans to develop a one million acre (4,000 km²) sanctuary for the horses. She did exactly that. It’s called Mustang Monument, and it is beyond a dream come true for anyone who appreciates the presence of these simple, yet stunning equines. The Horse Radio Network (HRN) – the Voice of the Horse World – is the pioneer and leader in equine related online horse radio. With a variety of different shows from the serious to the sublime, the Horse Radio Network is your entertaining and informative source for everything horse. Listen to any of the nine popular shows on the network at www.horseradionetwork.com. We speak with one of the coolest people this week, Vaughn Wilson. 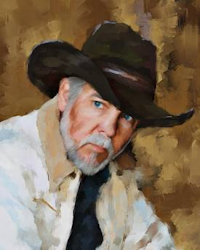 He is an author, photographer, painter and horseman and we speak to him about his beautiful book Tell Me about That Horse. What a great guy; you will like him and will love this book. 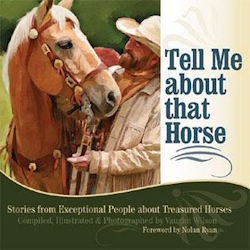 Guest: Vaughn Wilson about his new book Tell Me about That Horse. Buy a signed copy at his website. A fascinating conversation with the legend of eventing Denny Emerson on his new book, How Good Riders Get Good. We covered so many topics that affect every rider no matter the discipline – a must-hear. 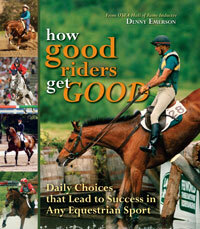 Guest: Denny Emerson, author of How Good Riders Get Good. 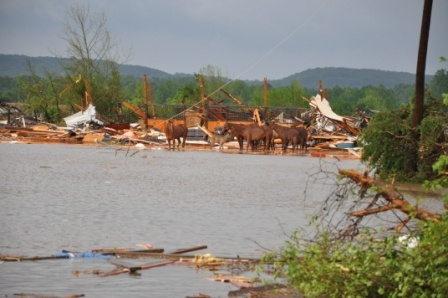 Guest: Megan Gallaway, reiner and eventer, on her story of the F5 tornado that went through the farm where she boarded her horses. Here is Megan and Bob: See more pictures on our Facebook page. 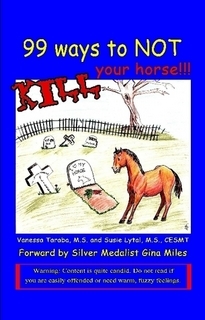 Host: Helena Bee, Glenn the Geek and Jennifer H.
Guest: Vanessa Taraba and Susie Lytal, authors of 99 Ways to Not Kill Your Horse.